Today I will be discus to you, about comment on blogs. so you understand, that blogging is not a simple thing. If you well manage a blog, you should simply keep in mind a lot of things, how to make it successful and popular your blog. you know competition are very high because, there are so many other,s blogs can great and professional content as well, and unique content are king. so if you want to win this competition and make a really good rank for your blog or website. Then you don,t ignore such a proven way to do that as blog comments. Just believe it or not, but many advantages of this commenting method can be found and we want to share some tricks with you. 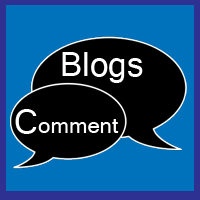 What we mean is your commenting on other blogs of course, as there are some real benefits you can get from that. How To Make Money Online ...:::: Earn Methods ::::... we talk about (Back Links) when you leave a comment on a any other blog, the big chances are that it will contain the link to your own blog. and this is the easiest way to get a good Page Rank so far. after you submit or tag a link to any other blog, people click on it to see the blog. so you get the more traffic. So, why to ignore such a good opportunity to increase your own blog's traffic. Many blogs allow you to include a blog,s link with your blog comments. It,s a great way to per-mote your "blog" as a thought leader in a particular internet industry, and drive traffic to your blog. and improve your "Back Links" or good SEO results. 1: Make new friends and blogging is partly a networking activity. and more people like your blog,s link. 2: People click your link to see what other interesting stuff you write about. 3: Get More Traffic to Your Existing Business, or blog. 4: commentators and the blog author will want to learn more about you. They may even leave you a reciprocal comment. and you get much traffic. 5: other blogs readers is inspiring and the debate may spark an idea to present an alternate view in your own article. may be people are like your article and shear your link. share your link or comments on social networks. include a comment you probably think the blog itself is worth seeing, and what,s more your comment and link will reach even more people or traffic to social media.